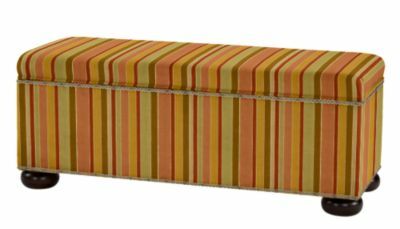 If you are looking for a cute + affordable coffee table/bench seating/storage option, then check out Ballard Designs Amelia storage bench! It comes in lots of different patterns, colors, fabrics, so you can find something for every decor. The construction is solid and I think this looks a lot more expensive than it is. 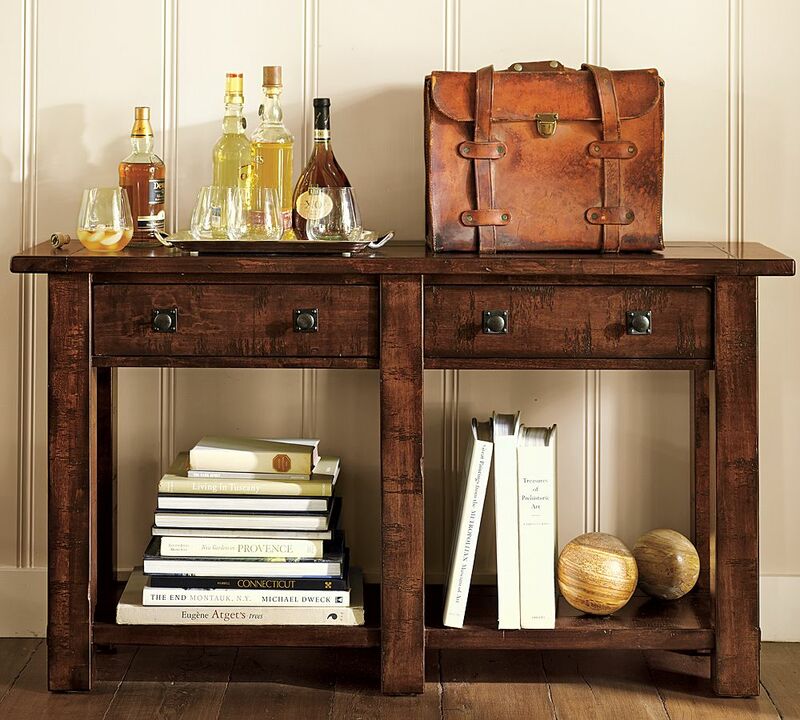 It’s the perfect height & width for a coffee table and it’s stable, sitting on substantial solid feet. Check it out! I just finished a floor plan for a client who’s back door leads from the garage immediately into the family room. There is no closet in this space, nor is there any type of hallway or foyer by the door, so shoes were lined up along walls in the family room and in front of the door. With the granite hearth fireplace, butter walls, french doors leading to the garden and honey colored wood floors, the room lends itself to a relaxed elegance design for fires and tv watching. So what to do with those pesky shoes that I had to work into the design? 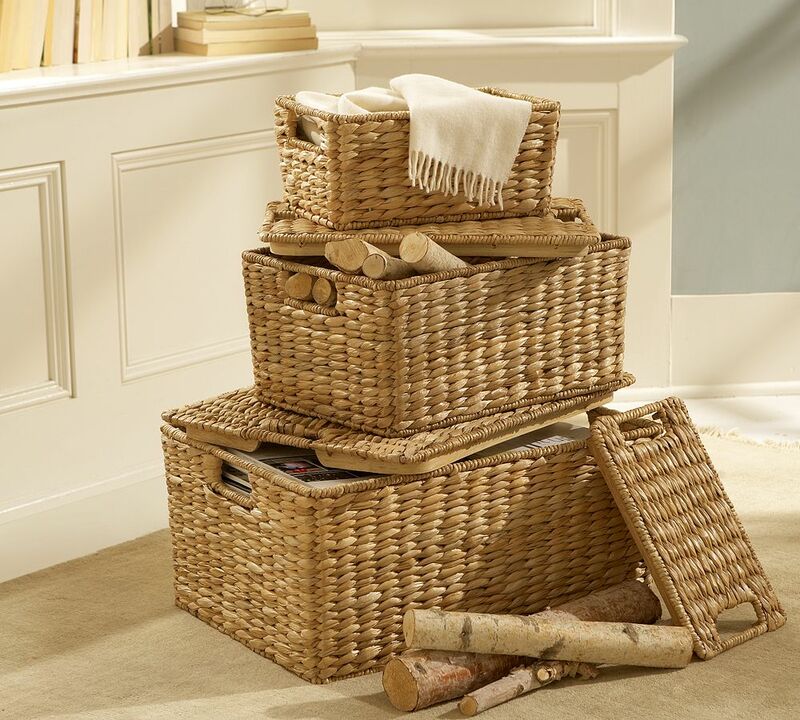 (These were also from Pottery Barn but you can pick up baskets anywere). I have a size 10 shoe, so I practiced with my shoes first, and they fit nicely. I got about six pairs of flats in there! They have lids too, so now when they come in the door, they can toss their shoes in a basket and throw on the lid and no one is the wiser. I liked this solution because it doesn’t look like shoe storage, it helped divide the entry way from the living space, and it fit the decor of the room. Just throw a little rug in front to complete the space. Winter boots can stay on a boot tray in the garage so no worries there. 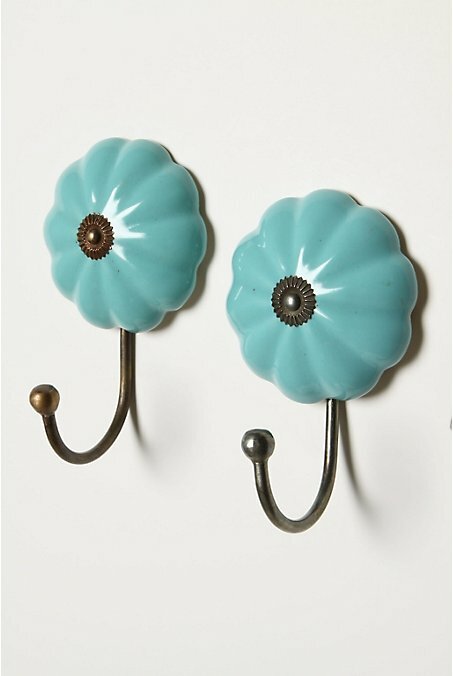 I’ve been looking for some coat hooks in my ongoing attempt to stay organized and I’ve found several ones that I like. 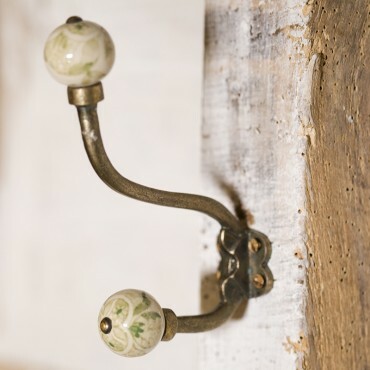 Even the smallest detail, like a wall hook, can make an impact in a room. Do you have a home office? Do you feel like you can’t concentrate when you sit down to work? Then consider the placement of your desk. Position your desk so that you face the room when you sit down to work. You don’t want to sit facing a wall or in a position that doesn’t allow you a good view of the door, because you will feel that someone or something is “sneaking up on you”. This feeling could manifest in the form of an unforseen bill, a problem with a client or co-worker that you didn’t see coming, or even just a general sense of uneasiness and an inability to concentrate. By sitting in a position that allows you to face the room and see who enters your office you are operating from a commanding position and you will feel a sense that you are “on top of things”! Lastly, take a look at the clutter on and around your desk. Clutter blocks creative energy and concentration. Clearing clutter is good feng shui because it allows clear thinking and creative ideas to flow, good things to happen if you want ideas to generate new business – and money! Greetings! If you followed part one that was posted earlier, you should now have a nice clean closet, perhaps some money in your pocket from selling a few items, and lots of extra room from donating unused clothes…Yay! Time to go shopping! Fill up that empty space! Nature abhors a vacuum! Etc! Etc! Wait! While I love shopping as much as the next gal, and firmly believe you should always have some new things each season, hold off on that urge to shop for just a bit longer. By organizing your closet before you shop, you’ll know what you need and what you don’t need, saving you money and time in the long run. Step one: If you have a lot of spring and summer clothes, shoes, bags, belts and other accessories that you carry over from year to year, go through the same steps outlined in part one. Weed out the clothes you don’t wear, or that don’t fit, or that need to be retired for good. Once that’s done, you’ll have a good basis from which to start. Step two: A popular way to organize your clothes is by color and piece: all the red skirts together, then the orange skirts, etc. I think this is a great way to organize and it looks nice, but it may not help you save time getting dressed in the morning if you have trouble putting together outfits. You could put together an outfit the night before, but if you’re like me, at the end of the day you are probably pooped and you’d rather spend time with your family or with Bravo TV and a glass of wine than paying homage to your closet every night. So a great way to solve this issue is to organize your closet by outfit. Put together great outfits now and hang those pieces together. It may take you awhile to figure out the outfits, so set aside some time to do this. Get a full length mirror and make sure you have good lighting and then play dress up! Don’t forget your accessories: shoes, bags, jewelry, scarves, etc. This process has two purposes. First, you’ll have your outfits together so you can spend a lot less time getting ready in the morning. Second, you’ll know which pieces you have that don’t really go with what you already own. If you have a jacket that you love but it doesn’t go with anything you currently have, then finding pieces to go with it might be a shopping priority. But be honest with yourself: only buy something to wear with it if you are really going to wear it. If you aren’t sure, then consider getting rid of the item, especially if it’s been in your closet for more than two seasons. 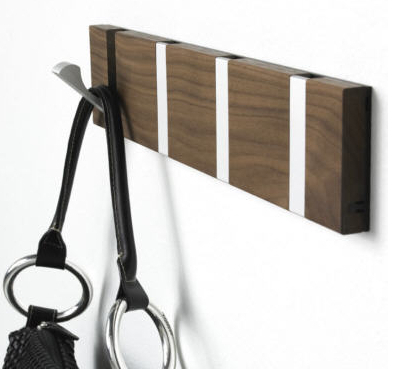 A note on hangers: I love wood hangers. I think they look great together, they help make a closet look great, and clothes hang better on them. 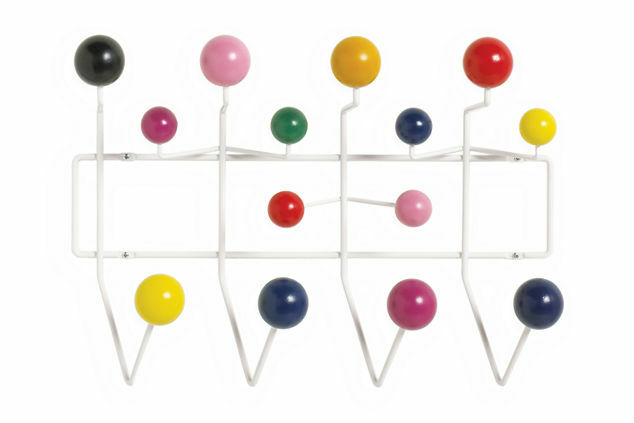 I purchase them from IKEA because they are super cheap. But they also tend to take up more room than plastic or wire hangers, so keep that in mind. If you do have a lot of wire hangers and you want to switch to wood, bring those hangers to the dry cleaners so they can reuse them! Step three: Make a list of what you want and need for the season. You’ve put together your outfits. Yay! Now make a list of the things that you might be missing. Say you would really love a certain color top to go with the jacket and skirt outfit you just put together. Then that top is something to put down to shop for. Or if you need a pair of brown flats to go with a pair of trousers. That is what you write down. By no means does this preclude you from purchasing a fabulous item that you see and would love to have. But this process should help you weed out a lot of unnecessary purchases, i.e. purchasing another pair of black flats when you already own three pairs. Step four: the best part: shopping! As a decorator, I do a lot of preshopping before I purchase, and I highly recommend it here. Not only does it help you figure out where to go, but you can also figure out which place has the best value. I do a combination of online and in-store preshopping. Spend some time preshopping, then figure out your shopping plan and take your list and go! A note on setting a budget: setting a budget before you purchase is key. It really helps define what you need and how to get what you want. Set a budget, make a commitment to stick to it, and figure out how to make what you want work in your budget. You’ll feel so much happier about your purchases, because you know you can afford them and that you didn’t waste your money. Now go forth and shop and have fun! Can a girl live without dryer sheets? I have been trying to for about a week now. I have to say so far it’s going okay, although I do have to hunt longer for missing socks and small items that like to attach themselves to the inside of pant legs and pillowcases. The other day I was out and about and reached into my pocket for my cell phone. Instead I pulled out a pair of undies. Funny when you’re with a girlfriend, not so funny when you’re with a male client. My reasoning for trying to go without dryer sheets is twofold. First, I can’t find a dryer sheet manufacturer that doesn’t test on animals. So if anyone knows of one, I’m all ears. Second, it’s an added expense and I am trying to cut down on all unneccessary products. Yes, I know a box of dryer sheets is like $5 but there you have it. So I was really excited when I saw these on Etsy. 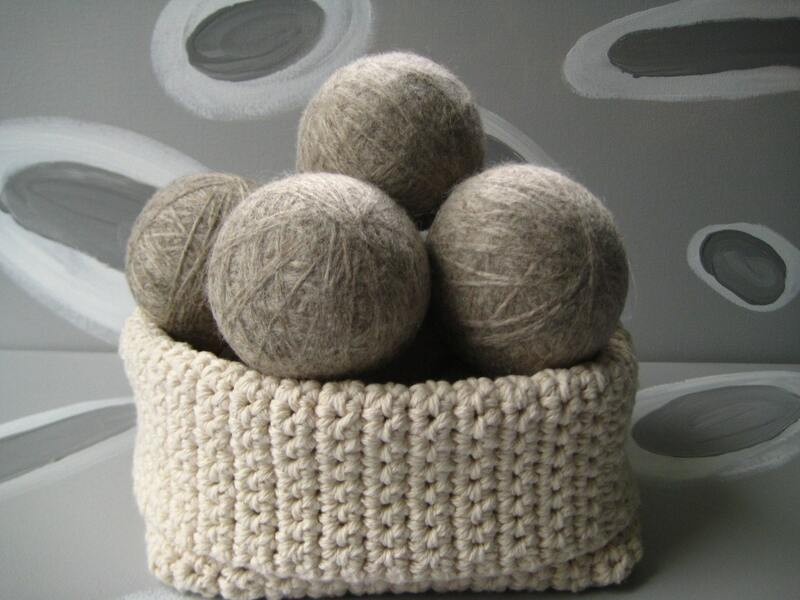 They are made of 100% pure virgin wool and are non toxic and eco friendly. You toss a few in with your laundry. I am very excited to try them out. You can purchase them from LuckyHanks. What does this have to do with decorating? Well, nothing really, except that I’m in full spring cleaning mode and that includes laundry! Whee! They have lots of different color and styles of fabric panels from which to choose. Just make sure if you choose the sheer panels that you’re okay with people peeking at your clothes. The best part is that the system is easy to install. Trust me. If I can do it, you can do it. Relax! You aren’t required to take any action just yet. We will probably get clobbered with at least another month or so of winter, postponing any real spring cleaning activity. If you are reading this and you live in Hawaii or on some other tropical island, good for you! But stop reading. This post doesn’t apply to you, you lucky duck. For the rest of us: depending on whether you are a procrastinator or someone who salivates at the thought of a good project, you’re either booing or cheering right now. But seriously: now is a good time to make a plan to get organized. Why bother with changing out clothes and such with the seasons? You probably have to move winter clothes to the basement or another closet in order to make room for the new spring stuff anyway. Even those of you blessed with walk in closets will need to do some work moving the winter stuff from front to back. You already have to do some work; why not do it in a way that is more productive? Getting organized is important because it allows you to free up a lot of energy spent ignoring messes and looking for things, so that you can enjoy your home more. Did you know that by changing your closets from winter to spring that you’re also practicing good feng shui? You’re enhancing new, fresh energy by clearing out the old. Old in this case doesn’t necessarily mean clothes that need to be tossed, although getting rid of clothes you no longer need or use is part of the process. It means rotating your possessions so that you get the best use out of them and nothing gets stale. You’re promoting good chi. The organizing doesn’t just stop with clothes. You should also rotate your bags, shoes, accessories, jewelry, scarves, tights, and lingerie. Then move on to your coat closet and do the same with your boots, hats, scarves, jackets, wraps. Finally, go through your drawers and pull out fall/winter workout gear, sleepwear and anything you’d wear in winter and not in spring. So how does the process work? You want to prepare your winter/fall wardrobe for storage and your spring/summer wardrobe for use. So first you go through your winter items and then you bring in your spring items. We’ll start with winter first. Next, think about lighting. All closets should have ample lighting, lest you risk wearing the “black shoes with blue tights” ensemble in public. If you need to hardwire a light, of course consult an electrician. If you can’t afford an electrician but you have an outlet, check out Ikea for some plug in ideas. If you decide to purchase a new closet storage system, now’s the time to set up the installation date. Then proceed to step two below. Try to have step two done BEFORE the new closet is installed, though. That way you save a lot of time emptying your closet for installation, putting everything back, then taking it all out again. Step two: Pick a weekend when you have absolutely nothing to do. Seriously. Two days. Then gather the following tools: cleaning supplies, a pad and pen, and lots of bags. The bags can be garbage bags, paper grocery bags, reusable bags, whatever you have on hand. Mark each bag with the following label: Dry Cleaning – Tailoring – Consignment – Charity – Shoe and Bag Repair. Line them up along a wall in your bedroom. Then make a space for two piles somewhere. One will be your winter storage pile and the other will be a “not sure” pile. The storage pile will be clothes you are keeping for next winter. The “not sure” pile is going to be your holding zone for all things you aren’t sure you want to keep until you’re finished with all other aspects of the process. Then we’ll come back to it and at that point you will decide what to do with the items in this pile. Step three: Take everything out of your closet. Everything. Clothes, shoes, belts, bags, anything that moves, including bags and boxes of stuff that has accumulated on the floor. Act as if you were moving out. Lay everything down on your bed, dresser, chair, etc. Try to keep everything organized by type: skirts, tops, dresses, pants, shoes, bags of stuff. Create organized piles. If you start throwing everything into a huge pile in the middle of the room there’s a good chance that you will run from the room screaming once the pile hits the ceiling. So try to keep it as organized as possible. Step four: Wipe down your closet. Really give it a great clean. Use wood polish if you have hardwood floors or shelves, or an appropriate cleaner if you have plastic or metal shelving. Vacuum the floor. Clean up any dust bunnies. Leave the closet doors open. Air it out as much as you can. You don’t like because of style or color or fabric. Take these skirts and put in the bag that you have marked consignment. Are too small. Put them in the consignment bag. You have never worn for whatever reason. Put them in the consignment bag. Check them for holes, broken zippers, bad hems, stains, odor, etc. If they have any of these, put them in the dry cleaning or tailoring bag, whichever is appropriate. Note: I have a dry cleaner and I have a tailor. I love my dry cleaner but I don’t take any tailoring to her except for the most basic things like button sewing. If you don’t have a tailor, do yourself a huge service and find a great one. He or she will help you save money in the long run by making sure the clothes in which you’ve already invested fit well and last for a long time. If they don’t need any of the above put them in the storage pile. Next, pull the skirts that you like but that are too big and put them in the tailoring bag. Finally, pull the skirts that you think you like. Try them on. Be honest and ask yourself if you will wear them next season. If you don’t think so, put them in the consignment bag. If you are not sure, put them in the not sure pile. We’ll come back to them later. Step six: repeat the above steps with each remaining pile of clothes: dresses, tops, pants, etc. It might take you all afternoon. No worries! You are accomplishing a lot here! Pull out the shoes you never wear because they are uncomfortable, the heels are too high, the color isn’t right, or the style isn’t right. You will never wear them, no matter how much you paid for them. They are taking up precious space in your closet. Take them and put them in a consignment bag. Take the shoes that are too small or too big and put them in the consignment bag. Take the shoes that are worn and old and put them in a charity bag. Note: If the soles are worn but the rest of the shoe is still in good shape and you like them are wear them often, then put them in a bag marked shoe repair. Next, take all the shoes that you love and wear often. Check them for wear and tear. If they need new soles or to be cleaned up, put them in the shoe repair bag. Note: try not to wear the same pair of shoes two days in a row. That will help extend the life of the shoe. Finally, take those shoes that you like but you aren’t sure you have anything to wear with them and put them in the not sure pile. Step eight: follow the same steps for your belts, scarves, and bags. If your bags or belts require repair, take them with your shoes to repair. Note: if you have vintage or handmade bags or shoes, make sure you use a repairman who knows how to repair these items by hand. If you’re not sure, do some research before selecting someone. Step nine: Time to deal with those boxes of stuff and miscellaneous items that you pulled from your closet. Don’t panic! The process is simple: take them through the same steps as your clothes and accessories. Once that’s done, ask yourself if the items that are left really need to live in your closet. Can you find a better place to store them? Make some money back from those items you bought but don’t wear. Find a consignment shop in your area that you like and that will take your items. You could also try craigs list or ebay or another online auction site. If you don’t want to try to sell your items then donate them to friends or host a swap party! Everything that you put in your storage pile should now either be hung or folded and stored for next year. If you don’t already have one, purchase an cloth storage unit like this one from The Container Store and store your off season items in a basement, another closet, or unused bedroom. Fold items like sweaters in clear plastic bins and store those bins under beds, in another closet or a basement. Lastly, we have come to your not sure pile. Take a look at it again. You are probably able to move a few things quickly to the consignment pile now. If you still can’t, that’s fine. Ask yourself a few questions: would you wear this today? Does it match anything else in your closet? Do you think you’d wear it next year? If you can confidently say yes to any of these questions, then move it to your storage pile. To be continued…spring organizing part 2!